Enjoy short breaks, being with friends or attending special events thanks to our VIP service. Enjoy a bespoke service when you hire a helicopter in Essex and select from an extensive fleet of helicopters, backed by a team of dedicated and experienced professionals. Be where you want to be, when you want to be, without having to spend your day worrying about traffic jams or rail delays. Hiring a helicopter in Essex means you will avoid all the stress associated with public transport, car journeys and even scheduled flights. Arrive at your destination having saved time by hiring a helicopter in Essex. Choosing to hire a helicopter in Essex is a popular, effective and efficient means of travel for people who need to travel around the UK and the near continent quickly and efficiently. It provides you with a fast way to travel, as well adding style and comfort to any journey. Feel refreshed and ready to enjoy your day ahead instead of being stressed from your journey. If the trip is for pleasure or transport a corporate hospitality event you may wish to request a special hamper to share en route with your guests when you hire a helicopter in Essex. Make a great first impression when you hire a helicopter in Essex, whether your trip is for business or recreation as you will receive exceptionally high quality, customer-focused service, which takes care of all the little details that matter to you. Relax safe in the knowledge that your pilot and aircraft will be immaculately presented in a professional manner, with the pilots attuned to the needs of you and your guests. With the small details and travel arrangements taken care of, you can concentrate on your day ahead, whether for business or pleasure. Benefit from the knowledge that our experienced operations team will provide you with free advice about the best helicopter to fulfil your needs. They will assist you to find a suitable departure site, near your home or office, as well as advice about the most suitable destination site. 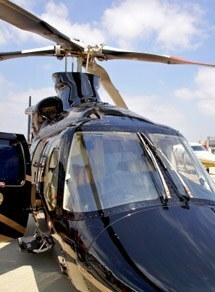 Gain the maximum benefit from hiring a helicopter in Essex. Our point to point service will have transport arranged for you to take you to your take-off site and meet you when you land, so there is no need to worry about parking or finding a taxi. The operations team will arrange this along with the other details for you, if required. Your Essex helicopter charter is a seamless and stress free service, provided by a friendly and efficient team, for whom nothing is too much trouble.